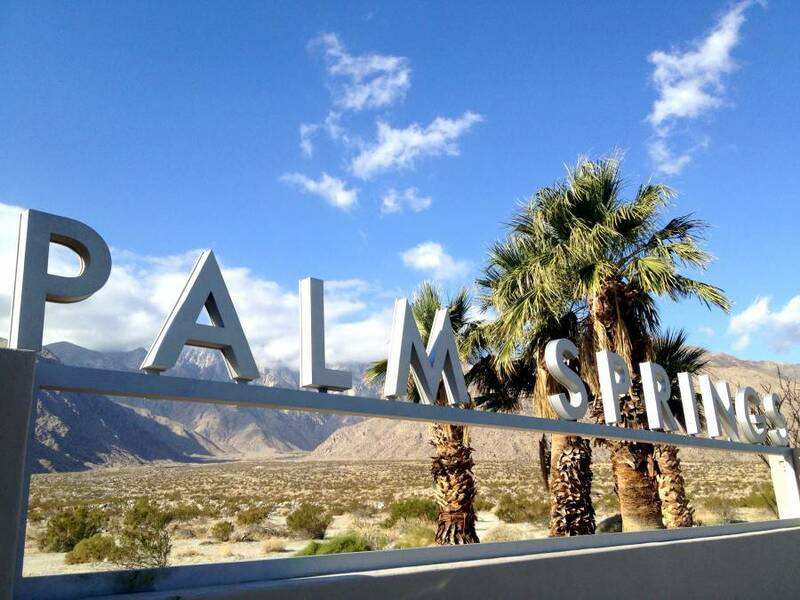 Today your journey begins and takes you through Palm Springs, the winter playground for Hollywood royalty, with its lively downtown and immaculately kept golf courses at the base of the rugged San Jacinto Mountains. A sea of wind turbines mark the entrance to this desert oasis. Afterwards you will pass through Indio, home to the Int'l Date Festival in the Coachella Valley. Travel through the Sonoran Desert, the richest, most biologically diverse desert ecosystem in the Americas. Continue to Sedona and see the spectacular red rock scenery. Situated in a unique geological area, Sedona is encircled by distinctive red-rock monoliths with such names as Cathedral and Coffee Pot. Drive through the breathtaking Oak Creek Canyon before arriving at Grand Canyon National Park. Majestic Grand Canyon National Park is one of the 7 great natural wonders of the world. Stop at the rim to fully experience this mile-deep colorful canyon's plunging gorges, and rising spires formed by the mighty Colorado River. As you journey further today, you will enter the Navajo Indian Reservation, passing the trading post of Cameron. 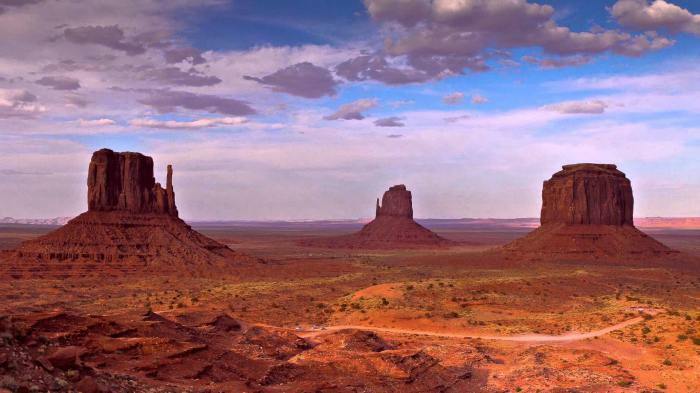 Continue through the Painted Desert to visit Monument Valley, an area that embodies perhaps the most iconic images of the American West. In the late afternoon, enter the town of Page, situated on a mesa above the Colorado River, and we welcome you to enjoy an evening at leisure. 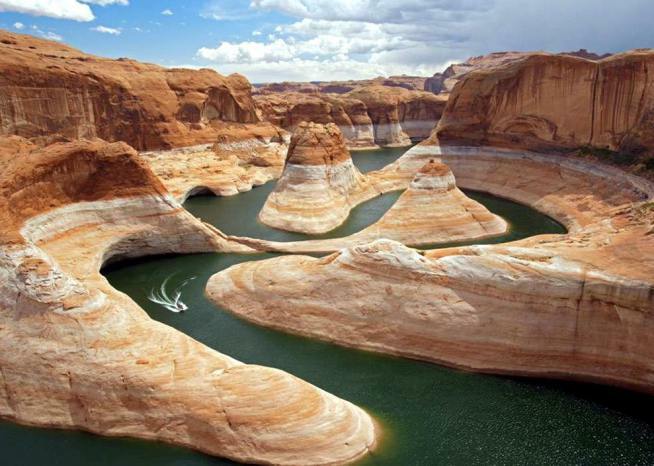 Visit the mighty Glen Canyon Dam, the second highest concrete-arch dam in America. From here you'll enjoy views of stunning Lake Powell, where crystal blue water laps against towering red-rock canyon walls. Enter the Mormon state of Utah this morning, pass through the town of Kanab before visiting spectacular Bryce Canyon, where a tour through a multi-colored world of sandstone spires and pinnacles will dazzle the eye. This evening, weather permitting, be sure to gaze upon the spectacular night sky filled with sparkling stars and brilliant constellations and take in the aroma of pinewood campfire. 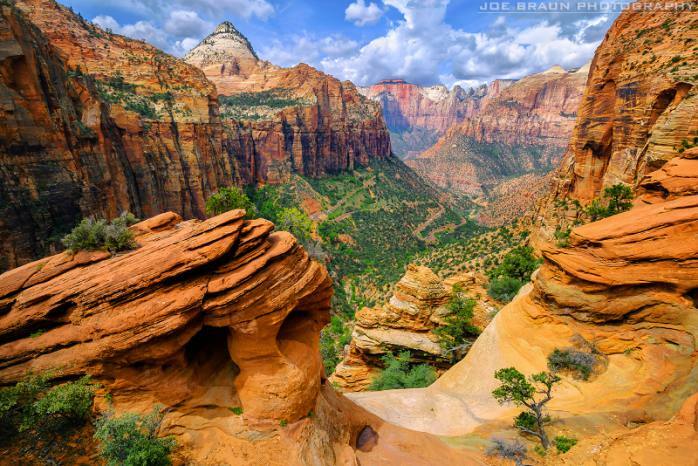 Travel today to Zion National Park and see the massive rock formations carved by wind, time, and the Virgin River. 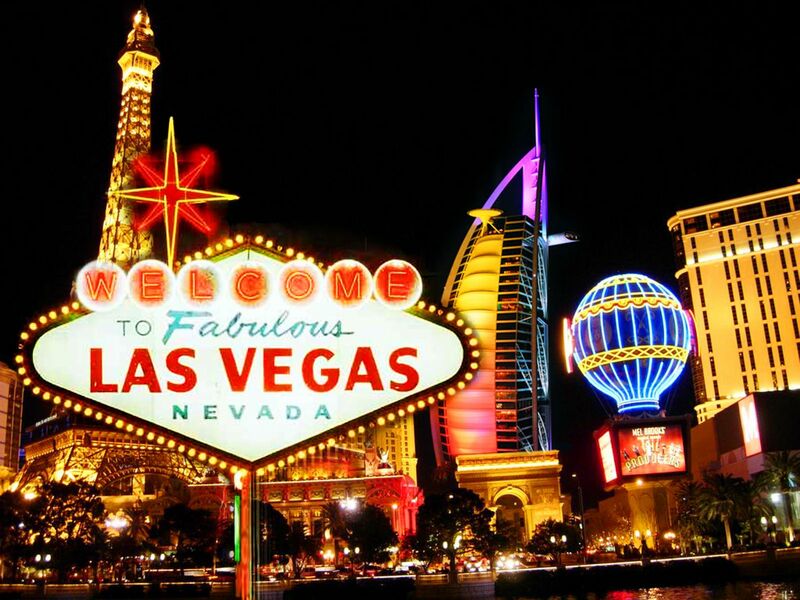 This afternoon experience the contrast of Las Vegas, Nevada, the dazzling "Entertainment Capital of the World," where round-the-clock shopping, nightly shows, and, of course, gambling are available. Today is at leisure for you to enjoy the many attractions that Las Vegas has to offer. In addition to world-class shopping, bustling casinos, and Broadway-caliber shows, you might simply stroll the famous Strip taking in its amazing sights and sounds, or "shop 'til you drop" at designer outlets. Your tour stops at the iconic Las Vegas Welcome Sign where you may wish to capture your photo memory of Las Vegas. Travel to Los Angeles via the Mojave Desert, home of the world's tallest thermometer. Clusters of unique Joshua trees dot the mountainous landscape. Your tour ends upon arrival in Los Angeles. - Shuttle: SuperShuttle is available to transport passengers from the airport to their hotel. One-way seat-in fare per person is approximately USD $19. For instructions on how to get to SuperShuttle after you land, please call 1+ (800) 258-3826 or visit www.supershuttle.com. - Taxi: Independent taxi service is available to transport passengers from the airport to their hotel. Approximate fare should not exceed USD $120, plus any toll charges that may apply. Passengers should secure rate before hiring. - Day 1 (Saturday): ATI’s Western Trails Motorcoach Tour departs for Phoenix at 8:00 am. Passengers should meet ATI’s Tour Director in the lobby of the Holiday Inn Anaheim-Resort Area with their luggage at 7:30 am. - Passengers with pre-nights booked through ATI should visit ATI’s Hospitality Desk at the Holiday Inn Anaheim-Resort Area the Thursday prior to the tour departure between the hours of 2:00 pm and 8:00 pm to check in with ATI’s Tour Director and reconfirm their tour participation. - Day 7 (Friday): ATI’s Western Trails Motorcoach Tour concludes upon arrival at the Crowne Plaza Los Angeles Airport at approximately 4:00 pm. Complimentary hotel shuttle and independent taxi service is available to transport passengers from the Crowne Plaza Los Angeles Airport hotel to the airport. If needed, ATI’s Tour Director can assist with securing transportation to the airport. * Final hotel list will be available 30 days prior to departure. Để hoàn tất việc đăng ký đặt tour, Quý khách vui lòng nhập đầy đủ các thông tin cần thiết vào các ô bên dưới, sau đó nhấn nút Đặt Tour để gửi thông tin cho chúng tôi. Bộ phận chuyên trách sẽ phản hồi sớm nhất trong ngày làm việc.